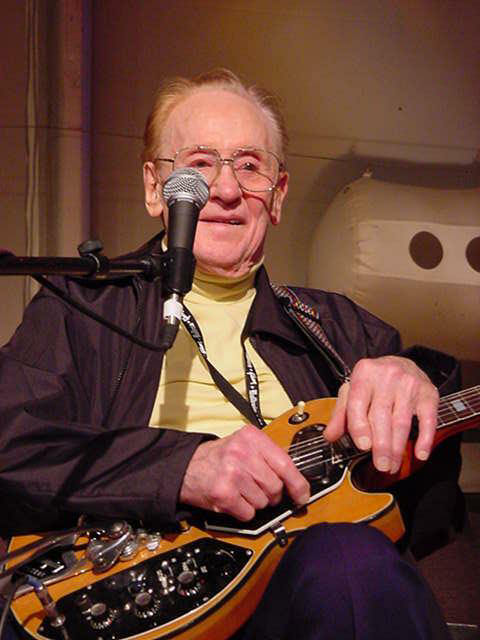 One of the biggest losses to the guitar world ever... legendary guitarist 'Les Paul' dies, aged 94. Sitting in the Overflow record collection, is one prized 78rpm record by 'Les Paul', which i remember playing at a very young age. I cant recall the name of the A-side, but on the B-side was the most fantastic piece of layed back blues guitar that I have ever heard. Whilst going through my teenage years and having typical 'teenage moments' (lol), this was a record that I would often play over and over again, whilst feeling sorry for myself. Les was a pioneer within his field and will be sadly missed in the music world. 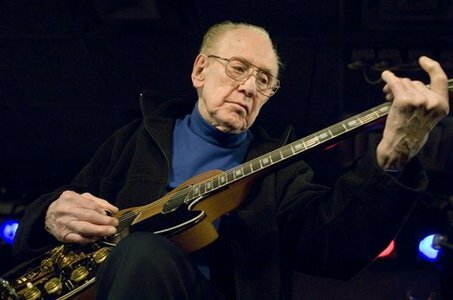 To read a full report, click this link to the BBC News website : http://news.bbc.co.uk/2/hi/entertainment/8200385.stm You will also find a link to the 'Les Paul' obituary on the right hand side of the page.